The decision to overturn controversial travel restrictions is ridiculous and dangerous, US President Donald Trump said, adding that something is very wrong when one judge can shrug off security concerns and deprive the country of proper border controls. The Department of Homeland Security stopped flagging travelers from the countries blacklisted by Trump following a federal judge’s ruling to suspend the president’s executive order on Friday. The Justice Department, however, already filed an appeal to the federal appeals court late Saturday to restore Trump's immigration order. The president, meanwhile, slammed the judge’s decision as a “terrible” mistake. “What is our country coming to when a judge can halt a Homeland Security travel ban and anyone, even with bad intentions, can come into US?” Trump wondered on Twitter. On Friday, US federal Judge James Robart issued a temporary restraining order on the ban until a full review of a complaint made by Washington state’s attorney Bob Ferguson has been conducted. During the hearing, Robart questioned the administration’s use of 9/11 to justify the order, saying no attacks had been carried out on US soil by individuals from any of the seven countries listed. 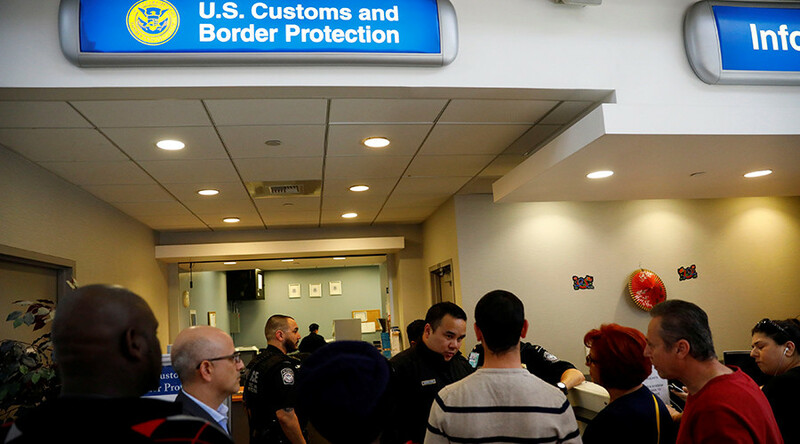 The US Customs and Border Protection Service said they would reinstate visas to comply with the judge’s order. On January 27, Trump issued an executive order that banned citizens from Iran, Iraq, Libya, Somalia, Sudan, Syria and Yemen from entering the US. The order was met with widespread protests and confusion, with multiple lawsuits already filed and many more expected in the coming days.